At once intimate and epic, The Orchardist is historical fiction at its best, in the grand literary tradition of William Faulkner, Marilynne Robinson, Michael Ondaatje, Annie Proulx, and Toni Morrison. 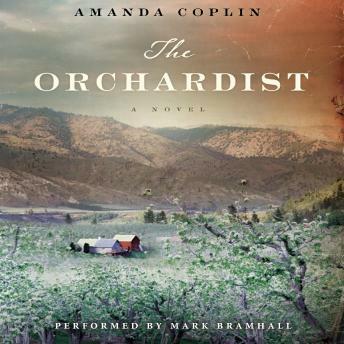 In her stunningly original and haunting debut novel, Amanda Coplin evokes a powerful sense of place, mixing tenderness and violence as she spins an engrossing tale of a solitary orchardist who provides shelter to two runaway teenage girls in the untamed American West, and the dramatic consequences of his actions. Very long book, interesting story, but the excellent narration and Amada’s turning of a phrase kept me listening. There is absolutely nothing in this book to make you feel good. It is verbose and repetitive. Although it is well read, by the end you are on the borderline of clinically depressed. Not a feel good book, but a very interesting story. All the characters go through hard times and come through them in their own way given the events of their lives.